Alexis, Kat, Jolina & Evan from #TeamTopRank brainstorming content. Repurposing content is most often a function of efficiency. Marketers investing in content have always sought to extend the value of their content marketing efforts by repurposing, re-skinning or reimagining content into alternative forms. Exploding the eBook. 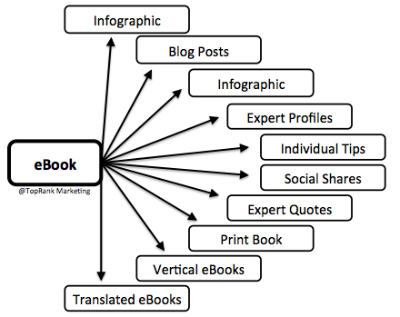 Developing a substantial eBook for example, creates a rich source of information from which many derivative works can be created ranging from blog posts to infographics. The folks at Kapost have promoted the content pillar approach with some great examples of this. For efficiency, distribution across multiple channels and increased social engagement, this approach to content repurposing is something all content marketing efforts should include. 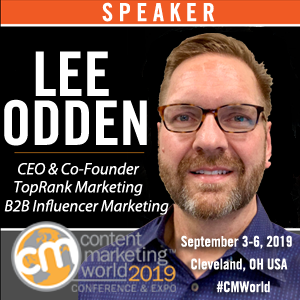 Content Marketers that make content repurposing part of the editorial plan will often become leaders in their markets over those that play catch-up, scrambling to meet content production needs simply by franken-building content to look differently. Time to upgrade: repurposing to personalization. While creative repurposing of content gives marketers many more assets for SEO, social promotions, websites, blogs, email and advertising, it is treating repurposing as a form of personalization that can yield some of the greatest benefits. 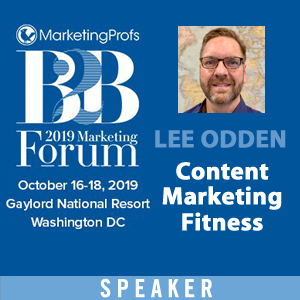 After all, are you repurposing content for your benefit as a marketer to hit your KPIs or are you trying to provide content that’s meaningful to buyers seeking answers to help them make decisions? That simple shift in perspective can make all the difference – for your content marketing performance and for prospects. Let’s get modular. Achieving the benefits of extended reach and distribution while providing content that’s actually relevant to a target audience can be achieved through Modular Content. You can get as big or small as you like about this topic, but here are 5 steps to implementing a modular approach to content marketing that achieves personalization for target audiences as well as extended reach, engagement and efficiency. How and where do they discover content? What are their content format preferences? What devices do they use to consume content? What information problems are they trying to solve through research and content consumption? What questions are they trying to answer and what are their goals? What topics, messages and offers will motivate them to take action? Understanding content from your target audience perspective empowers you to plan primary topics, derivative topics, content formats, distribution channels, and calls to action. Initiate an ongoing data collection effort to learn your customer preferences for content discovery and consumption as well as what will motivate them to take the next step in the buying process. Whether you identify target audience data as a single customer view or through specific segments with personas and all, the stages of the buying experience (early, middle, late) should provide context for what constitutes “next steps” to inspire action. 2. 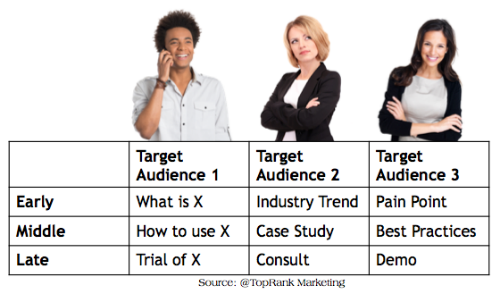 Create a topic matrix based on target audience and buying experience. If you have 3 primary target audiences and each will focus on early, middle and late stage buying process (this is an oversimplification) then then you have a 3×3 matrix. Each element within that matrix would include an anchor piece with supporting promotional assets. 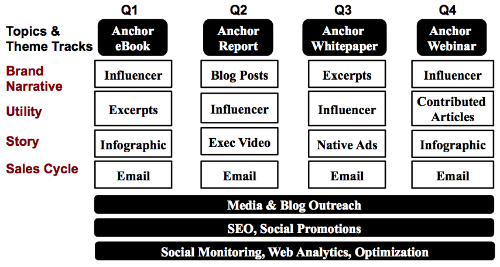 In the example above, each target audience has a unique anchor or content hub for each stage. 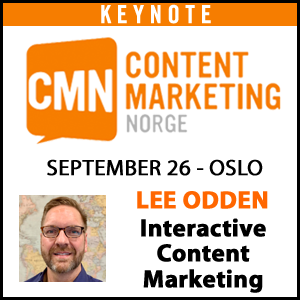 It would be ideal to create unique content for each cell for each industry, but that is not always practical. Rather, identify the common denominators across target audiences and repurpose those content objects while adding customization. 3. 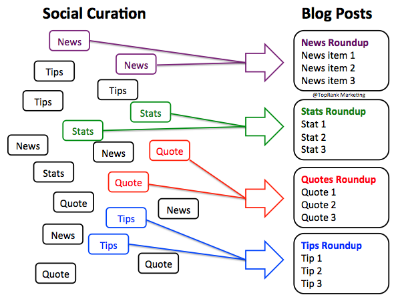 Identify your content hubs. Whether you call them “big rock” content, “content pillars” or “remarkable content objects”, modular content is based on an anchor piece of content from which personalized versions are derived. Content hubs are used to represent key areas of a business through a robust resource. 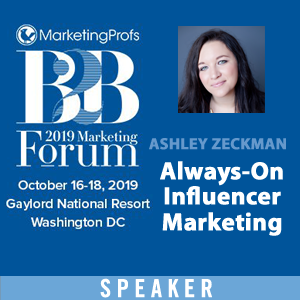 When you hear me talk about “being the best answer” for customers, content hubs are an essential representation of your brand as an authority on a topic that’s important for buyers. Each hub includes derivative topics and content formats for a each specific target audience. For example, an anchor ebook focused on a specific industry with corresponding infographic, email campaign, blog posts and social shares can be repurposed and personalized for a different target audience in a different industry. 4. Go big, get small. Modular content plans identify for each target audience, the channels of discovery, content topics/formats/devices, messages that will inspire action. According to these plans, micro content can be created and curated and used for social sharing, as data points in newsletters, blog posts, articles and presentations. That same micro-content can be assembled from small pieces of data to larger collections or lists. At the same time, anchor pieces of content like eBooks, reports, webinars, white papers etc can be deconstructed into smaller pieces for specific target audiences. Digital Marketing is an ongoing process of planning, implementation, measurement and performance optimization. That means a continuous effort at collecting target audience and key performance data to inform iterative improvements in your choices for content topics, formats and channels used to personalize/repurpose. By digging in to the data about your customers and using that insight to plan modular content around customer information needs (Discover, Consume, Act), you’ll find many opportunities for personalization as a form of repurposing. 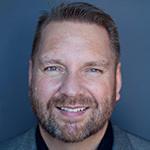 Social Media Marketing World: You may have guessed by the hash tag in the post title that this is the topic I’m presenting at Social Media Marketing World later this week, “Repurposing on Purpose” Friday, March 27 at 3:00pm in the Harbor AB room. For the presentation I’ll be giving 5 examples of how companies can repurpose and personalize content.